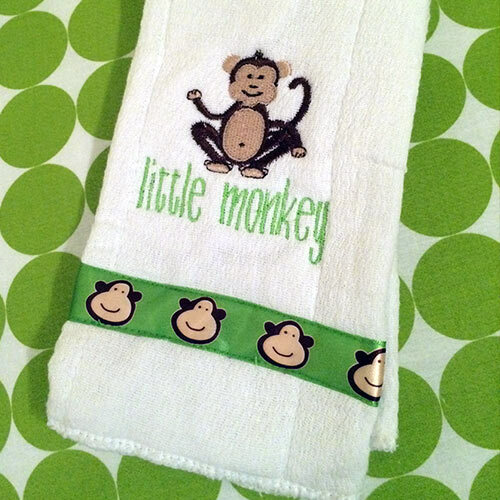 This burp cloth features a cute little monkey and matching monkey ribbon! 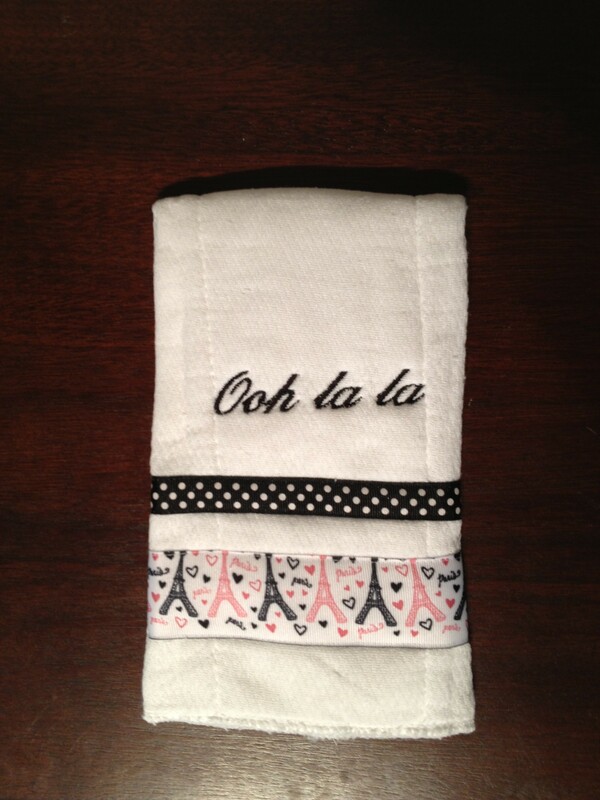 Embroidered burp cloths make an ideal baby gift; they are thoughtful, unique and practical. 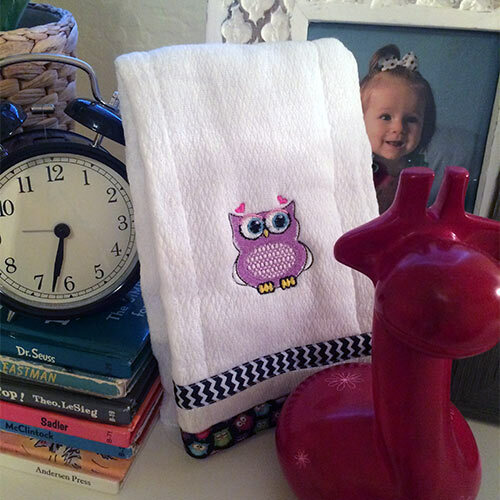 Burp cloths are a necessity for every new parent, but they can be pretty and stylish! 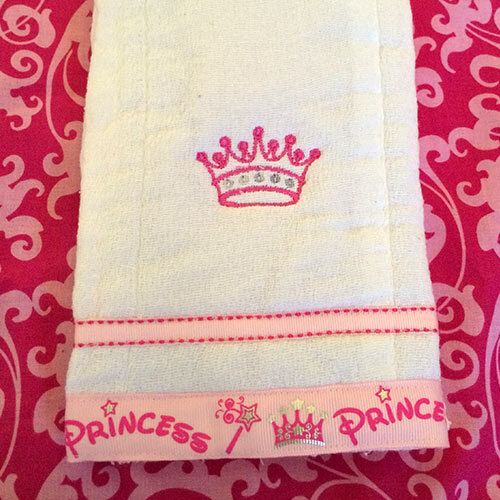 The white cloth is both soft and absorbent and made of 100% cotton with a 100% polyester liner in the center. These measure approximately 12 inches by 18 inches. They are machine washable and dryer friendly.